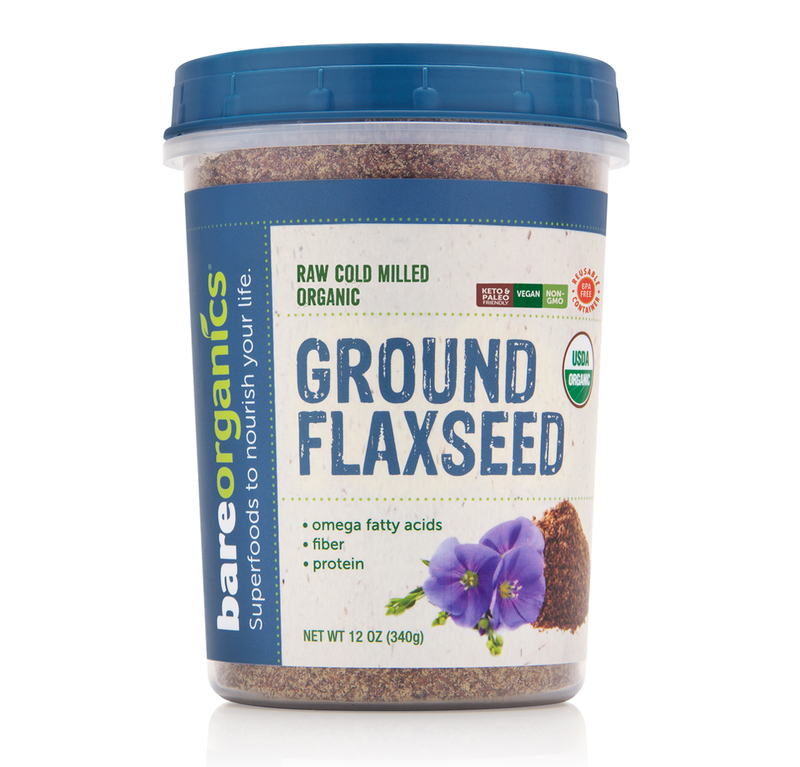 Ingredients: Organic Cold Milled Ground Flaxseed. Mix one tablespoon (1 scoop) with cereal, yogurt, or your favorite smoothie. Can also be added to baked goods for a nutritious boost. Allergen Information: Does not contain soybeans or wheat. However, this product may contain trace amounts of wheat and soybean from the field.